Sweepstake – A Stay at Home Mom’s Best Friend! Moms agree that Sweepstake.com is a Stay at Home Mom’s best friend! It gives them a chance to win sweepstakes and giveaways in their spare time! If you are a Mom you will find out fast that Sweepstake.com is the place to be! They search the web each day then share only the best and worthy contests, sweepstakes, and giveaways for people to enter. That really helps stay at home Moms manage their other responsibilities raising children and more. Saves some time finding the best sweepstakes to enter! Sweepstake.com is not your average contest and sweepstake website. You can find all the latest contests, sweepstakes, and giveaway listings that you could imagine. Hundreds of the best every week. 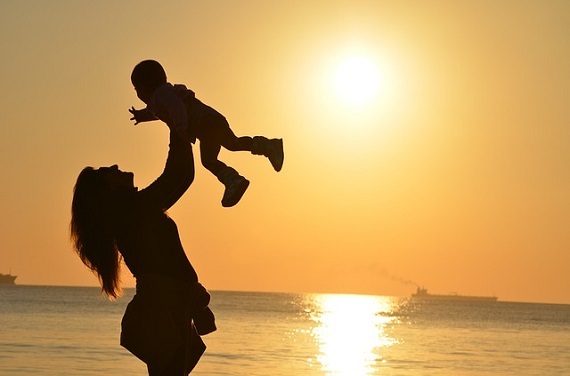 You will find something different at Sweeptake.com, the site takes things a step further and it has forever changed the way I play and enter sweepstakes as a Mom. I know it will do the same for you. You see, what makes them different is the way the site is run. All sweepstakes are tested by real editors, then evaluated and sorted into numerous categories. There categories for new sweepstakes, expiring sweepstakes, top 30 and on and on. You will find everything nicely arranged! I love it! Here recently those Back to School and home makeover sweepstakes are catching my attention. The kids have been full blast lately and I need all the help I can get. You can tell because the house is a wreck! So yea, my family is way overdue for a home makeover. You can even pick out your favorite competitions from the crowded market easier! Their focus is on high quality sweepstakes, delivered fresh. As a Mom, that matters to me! When I last checked there were thousands of live sweepstakes and the amount of the prizes run in the millions of dollars. I was stunned! I had to take a moment and tell you about what I found. It is obvious that Sweepstake.com has worked hard to bring the best sweepstakes directory. Before I found the site, I spent way too much time looking for all the best sweepstakes myself. I can’t really think of anything else that compares. Oh wait I almost forgot! Sign up for their daily and weekly email newsletter. There are some really nice sweepstakes, contests, and giveaways coming to your email when you do. If you are like me you don’t want to miss anything! Us Moms that stay at home know how stretch our time and win a little something for the family don’t we? Don’t forget to share Sweepstake.com with fellow Mom’s in your circle, we can’t win them all for ourselves! There are way too many! I mean really, I found sweepstakes from Amazon, Walmart, American Express, PCH, HGTV (ohh, I really love those HGTV ones!) and POPSugar. Ok, I will stop now. You get the idea about Sweepstake.com and from one Mom to another, have fun winning! Eyes are the windows to our heart. So many expressions get conveyed through our eyes. One look and the opposite person understand what you are trying to convey. Our eyes are the first thing that others notice when they talk to us. So don’t you think that you should take proper care of them? This becomes more applicable especially when you are working. Dust, pollution, dirt, grime – everything can play havoc with our eyes. And to top it all, the constant exposure to the computer screen can do more harm than good. Prepare an eye rinse of rose water. Take a bowl, pour some rose water and dip a cotton pad in it. Keep it overnight. Next morning strain the rose water and add enough plain water to it. Now wash your eyes with this potion on a daily basis. This potion acts as a stress buster and will give you a cool and soothing feel. Take castor oil and rose water to create a mixture. Soak two cotton pads in it. Now place these cotton pads over your eyelids for minimum 10 to 15 minutes. This mixture is a great treatment for eye burns and other eye ailments. Splash your eyes with tea-solution once a week. It helps to soothe tired eyes. Put cucumber slices onto the eye lids. They help in eliminating dark circles. Don’t forget to remove your eye makeup once you return from the party. No matter how tired you are, always clean your eyes of the makeup applied. Keeping them overnight can lead to infections and eye ailments. Change your eye makeup products every 2-3 months. Even if the product is left and you can use it for the next 6 months, it is best to replace them instead of using them for nearly 1 year and so. So what if you don’t wear contact lenses on a daily basis. You should always clean them on a daily basis. Dirt and impurities can easily accumulate on them which can lead to irritation and allergic reactions. Make sure that the contact lenses box is clean and is filled with the solution. Never store your lenses in the box without adequate solution. This can harm the quality of the lenses and affect your vision as well. There is no alternative to good and healthy diet. Your regular diet must comprise of food items rich in vitamins, minerals, nutrients and proteins. Green leafy vegetable, carrot and other food items that is high in Vitamin A, K and niacin, vitamin B1. However, if you are having eye issues that are affecting your normal vision or you are experiencing pain, it is advisable that you visit an eye specialist immediately. Normally one should opt for an eye check up twice a year. In that case joining Optician Program organized by reputed Ophthalmology Practice Management Consultant would be much helpful. The above article has been written by Francisca Straut. She is a health and beauty expert, writer & blogger by profession. She loves to write and share article in the web about health and wellness tips. If you are fade up from your dependent professional life and want to work freely then search for online working facility and make some money by just working from home independently. Choose the right jobs that match your skills. 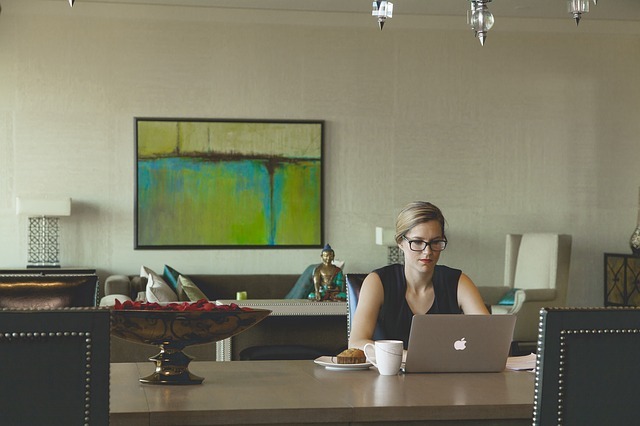 Either you are a student, an employee or house wife and working mom you can take a lot of advantages from working from home and select your working hours own. No need to take the stress or over analyze the situation about how to start your online working career. In today’s life internet provide a lot of opportunities for you from working at home and earn some money. There are a lot of sites which provide the online job facility for you. 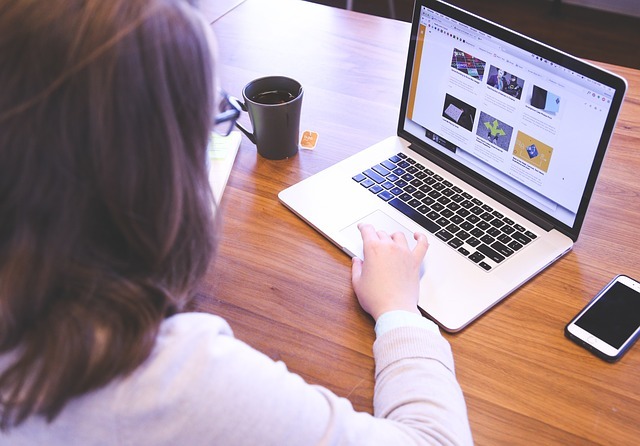 Such as “freelancer” is a term commonly used for a person who is independent employee or self-employed and is not necessarily committed to a particular employer long-term. If you have very young children, you will need to get help. In this case, it would be helpful to have another adult in the house, or to drop your children off at daycare, or a babysitter’s to get a few uninterrupted hours to yourself. You want to set a routine for online working and get sometimes to your family members. Set your working hour for each day. Getting out of the house is very important. If you don’t have to go back to the office to have meetings or deliver progress reports, you can bring your laptop and work at a coffee shop or meet a friend during lunch. You must need to understand your client requirements for showing good result and for client satisfaction. You need to be in touch with your client and for any genuine reason you have to inform your client that for how much time you are going to be offline. When you work from home, you have complete control of your work environment. 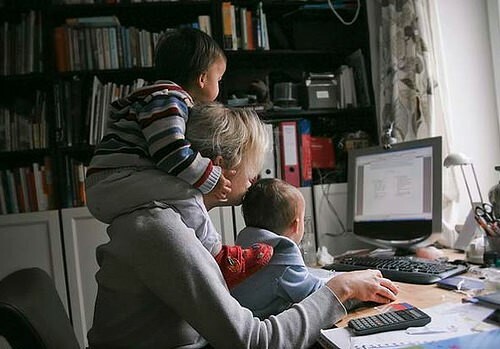 Some women want to stay at home with their children and also wanted to earn money than in this case working from home or work online from home allows an opportunity for mom to be at home with the kid’s and still earns clean and clear cut income. You can also save your fuel expenses per year by working from home. Eating out for lunch, business suits or uniforms, and day care can amount to hundreds of dollars every month. The money saved by staying home can be used in other ways such as vacations, paying down debt or even inventory for your online business. Being physically located at home enables you to find a better balance between career goals and family life. Spending more time with family generally makes employees happier, which contributes to a reduction in stress and an increase in job satisfaction. For starting any business you need a lot of resources and also investments. Starting an online business career is much easier and without any cost. You can sell your own custom products, stock and ship someone else’s goods or even participate in affiliate or drop ship programs. If you have the imagination, you can find a way to earn a living online. I’m pretty sure this post is being read by no one. A few years ago, if I would’ve thought that no one was going to read my post, there is no way I would’ve hit publish. I was far too consumed with my number of readers and subscribers, whether or not I was getting comments, and if my stats were staying consistently good enough for brands to recognize me. I’d keep a running list of blog-worthy topics in my iPhone, and would often find myself ranking my day as “blog-able” or not. When I started getting months supplies of cereals delivered to my door in exchange for telling my growing group of readers what my family thought of it, I knew I had become a “mom blogger.” I joined every social media mom group I could find, attended every shindig I was invited to, applied for every “shop” I remotely qualified for, and spent hours weekly connecting with brands on Twitter and Facebook. Guess I had a lot of time on my hands. It’s ironic because, like most bloggers, when I started this whole thing, I didn’t have a clue what a page rank was, nor did I have any actual readers. I wasn’t looking for free laundry detergent, or to schlep myself fours hours away to listen to someone tell me why I should buy their product in exchange for a free dinner. I would’ve just bought a timeshare if I wanted that. Blogging just seemed like a good platform for me to express myself, for no other reason then because I loved writing and wanted a hobby. Now I have this little thing called a full-time job, and being a “mom-blogger” really cramps it’s style. The realization has been a long time coming, and for many reasons. The biggest? Being a “mom blogger” no longer suits me. I can’t attend daytime events in the city, and attending weekend ones aren’t even an option because that’s my chance for quality time with my kids. Speaking of my kids, they are too old to care what the hottest Playskool toys of the season are. And, unless someone is giving the latest and greatest floor cleaner to the maid I’m about to hire, I will be useless in reviewing it. Does that mean I won’t blog anymore? It just means I no longer will consider myself a “mom blogger.” Ain’t no full-time working mom got time for that! In one year, I went from being full-time stay-at-home-mom, to being full-time working-at-home-and-outside-the-home single mom. For the most part, I can say that I have no problem working as hard as I do. I’m lucky enough to enjoy the things I do for a living. But that doesn’t mean that working doesn’t cramp my style every now and then. I rearranged my entire work schedule to take my daughter to her Girl Scout swim party. The amount of working-mommy guilt I have been feeling since summer began was just flat-out gross, so this was the perfect day to throw my hands in the air and just be with the kids.